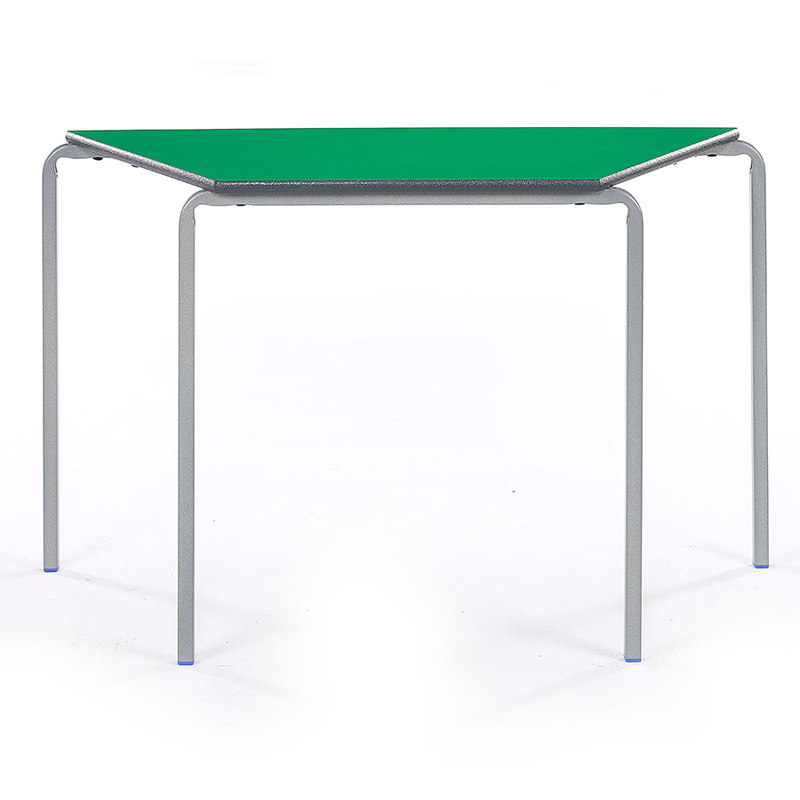 The crush bent trapezoidal tables come in a range of heights for different age groups so can be used in for schools, pre-schools and nurseries and comes. 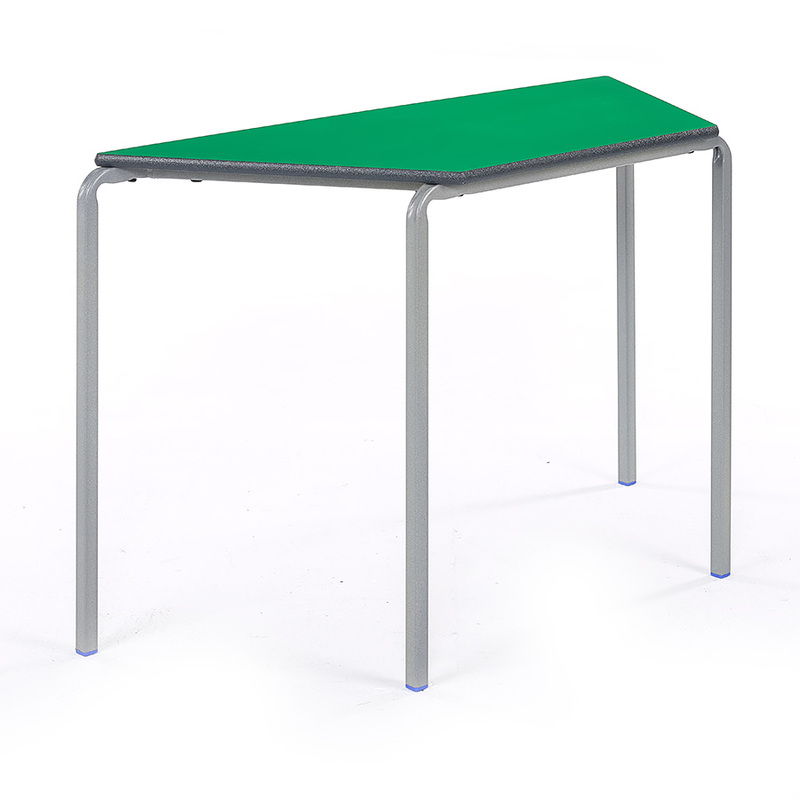 Our Crush Bent tables are supplied in a pack of 3 and are designed for daily use in classrooms. Available in two table top sizes - 1100mm and 1200mm - there are 10 table top colours to choose from. Each table has a 25mm square tube steel frame, finished with a speckled light grey paint. The table tops are made from 18mm MDF with a textured edging in a choice of 3 colours - blue, light grey and charcoal. Fully compliant to EN1729, each table has a 5 year guarantee. Our Crush Bent tables can be stacked up to 8 high which makes them easy to store when not in use. These tables are compatible with others from the Crush Bent range and can be used to create different shaped table groups in classrooms. The Crush Bent range includes Rectangular, Circular, Square and Semi-Circular tables. PLEASE NOTE: These classroom tables are sold in sets of 3 only. Therefore, adding a quantity of 1 into your basket will order a set of 3 tables, quantity of 2 is 6 tables etc. For more information please Contact Us or call us on 01733 511121.